DUBAI Best & Luxurious 1 Bed apartment in WORLD TALLEST BUILDING !!! Downtown Dubai is the thriving, lively flagship area of Dubai. It is the best example of the modern metropolitan Dubai filled with medium and high-rise buildings with beautiful architecture. Modern luxury, high-end convenience, and culture are abundant. The centerpieces of the area are the iconic Burj Khalifa and Dubai Mall, the tallest building in the world and the largest shopping mall in the world respectively. 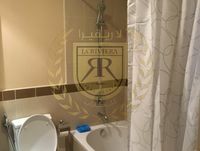 Most of the properties here tend to be apartments and slightly smaller than other parts of Dubai (although still spacious by global city center standards). A few villas are available in the form of podium villas in towers. 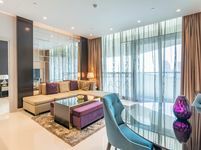 There are plenty of hotels that also offer serviced apartments that provide upkeep, cleaning and additional amenities on request. These are popular for single people or those with busy work lives. There are endless choices of restaurants, cafes, convenience shops and nightlife. Outdoor cafes and high-end eateries also give the area a European cafe culture during the winter months. 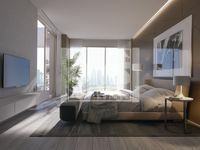 Aside from the lifestyle, buying a property in Downtown Dubai is seen as a safe-haven investment. There are commercial spaces, retail and mid to high-end apartments on offer. There are a plethora of luxury hotels. The community has plenty of quiet pockets for families and truly offers a place for all lifestyles. The Old Town Arabic themed low rise apartments in particular offer spacious and serene family living. Downtown Dubai appeals to all lifestyles and therefore is very popular with end-users and investors. 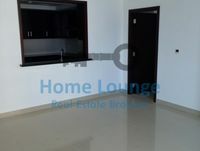 It is well connected by highways including the essential Sheikh Zayed Road. It is served by the metro and has increasing internal community transport that covers short hops from one end of the community to ever. The quality of apartments, hotels, and infrastructure is very high. Given these points, Downtown Dubai Properties are in high demand and highly sought after. The proximity to the mall or views of the Burj Khalifa can often make properties more expensive. Downtown Dubai is also close to Business Bay and DIFC - business areas that employ a large number of office and executive level staff. The area is also a huge tourist destination for the Dubai Mall, the worlds largest dancing water fountain, Burj Khalifa, art galleries, museums and the Dubai Opera amongst others. The result is that prices tend to be higher than in other communities. With demand being high and the community adding new modern facilities every year such as the recently opened Dubai Opera, the investment sentiment remains strong that buying a Downtown Dubai Property for sale is a solid long term investment.